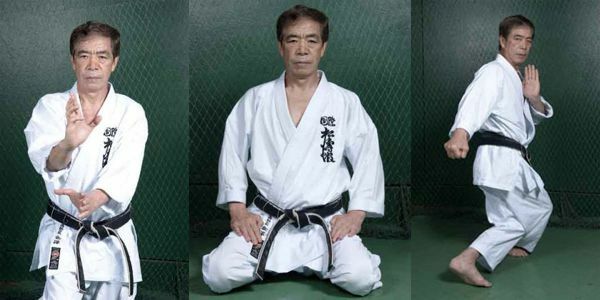 Hirokazu Kanazawa is a world-renowned Japanese master of Shotokan karate and the Chief instructor and President of the Shotokan Karate-Do International Federation, an organisation he founded after he left the Japan Karate Association (JKA). Kanazawa is ranked 10th dan in karate. Hirokazu Kanazawa was born on May 3, 1931 in Iwate Prefecture, Japan. As a young man he trained in judo and held the rank of 2nd dan in that art. He began training in karate while he was at Takushoku University under head instructor of Shotokan karate, Masatoshi Nakayama who taught their at that time. Kanazawa also learned from the founder of the Shotokan style, Gichin Funakoshi, and is one of the few living practitioners of karate to have done so. Kanazawa was promoted to the rank of 1st dan in Shotokan karate with less than two years of training in the art; promotion to 2nd dan came three years later. In 1956, he graduated from university and joined the Japan Karate Association (JKA). That same year, he was promoted to 3rd dan. Kanazawa won the inaugural All Japan Karate Championship’s kumite (sparring) championship in 1957. 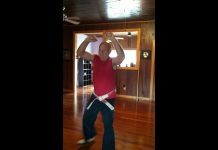 He reportedly won the kumite competition while nursing a broken hand. That same year, Kanazawa was among the first to graduate from the JKA’s instructor training program. 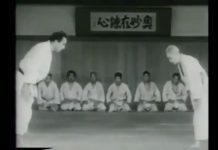 In 1958, Kanazawa won the kata (forms) title and shared the kumite title with Takayuki Mikami. Mikami and Kanazawa had been classmates as well as roommates for a long time and knew each other very well. The two close friends launched only a minimal number of attacks against one another, circling until the time was up and then shared the kumite title. In January 1961, the JKA sent Kanazawa to Hawaii to establish karate schools there. 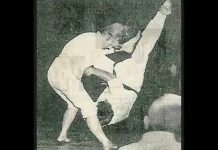 He was ranked 5th dan at the time. 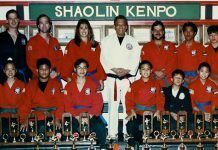 He established a dojo (martial arts school) and served as the inaugural President of the Hawaii Karate Congress. In May 1963, he left Hawaii to teach in Europe and Japan. In 1966, Kanazawa became Chief Instructor of the Karate Union of Great Britain, and the JKA promoted him to the rank of 6th dan that year. In 1973, the All Japan Karate Federation promoted him to 7th dan. In 1977, Kanazawa left the JKA and founded the Shotokan Karate-Do International Federation (SKIF). 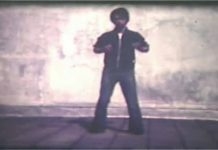 Since then, he has taught and promoted karate through the SKIF, including the organisation of several karate world championship competitions. Despite leaving the JKA, Kanazawa still maintains ties with former colleagues in that organisation. In 1990, Kanazawa demonstrated his art at the 10th Traditional Karate Tournament International, which was held in Las Vegas. 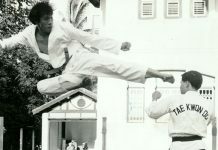 In 1994 and 1995, he demonstrated his art at the 14th and 15th Traditional Karate Tournaments International. Kanazawa has written several books on karate, which include: Kankudai (1969), Moving Zen: One man’s journey to the heart of Karate (2001, co-authored), Karate: My life (2003), Karate fighting techniques: The complete kumite (2004, co-authored), and Black Belt Karate (2006). He has also been featured in Paul Walker’s book, Lessons with the Master: 279 Karate lessons with Master Hirokazu Kanazawa. 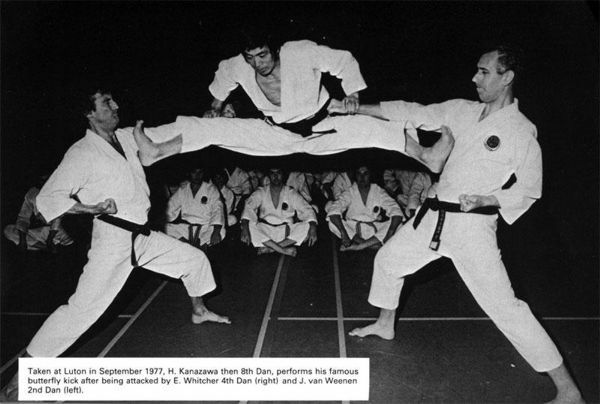 The International Martial Arts Federation promoted Kanazawa to 8th dan in 1978, 9th dan in 1988, and 10th dan in 2001. Within the SKIF, he holds the rank of 8th dan, attained in 1998.